In producing our Rubber Wiper Rollers we want to secure maximum bond strength between your steel core and its new rubber covering. 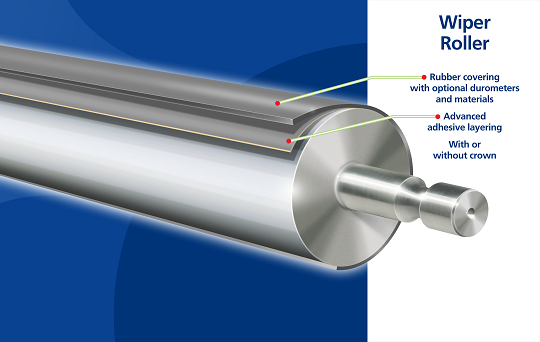 To achieve a great product, we thread and grit-blast our Rubber Wiper Rolls before the rubber is applied, then an infrared autoclave dry-cures the rubber from the inside out, which provides denser coatings and more uniform durometers. Sign up and get the latest news!